Gay Faulkenberry has been a force on the American art scene for more than two decades. 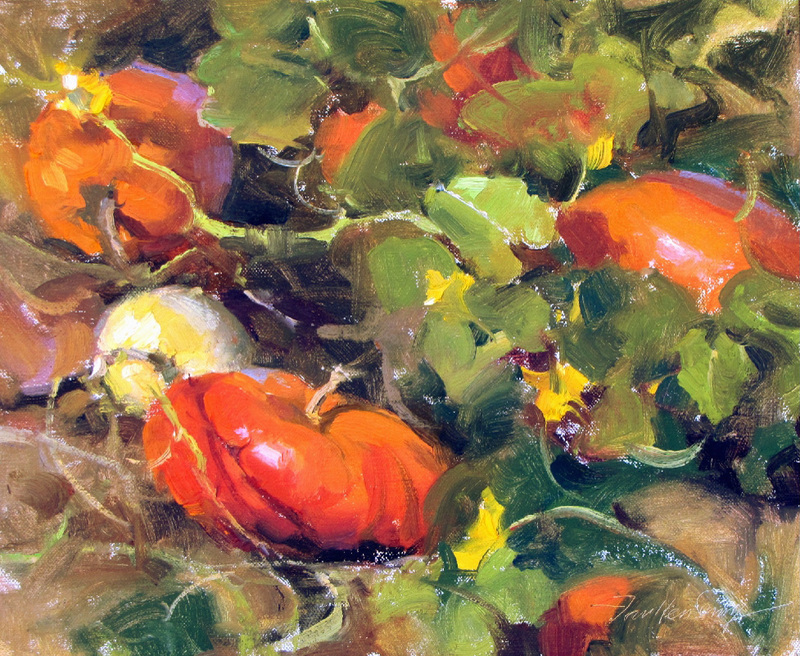 Known for her impressionistic approach to color and light, she is renowned for plein-air paintings of urban and rural landscapes and for studio paintings of intimate still lifes, florals, and interiors. “Taking my pochade box outdoors into nature excites me as much as setting up a still life arrangement or re-creating the ambience of a room setting. 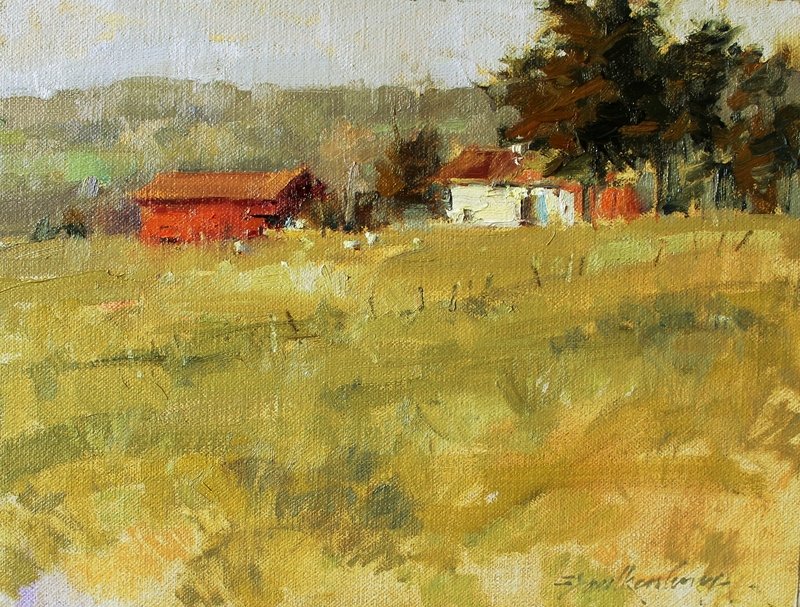 Whatever the subject, I’m inspired by the way light reveals form and essence,” she says. 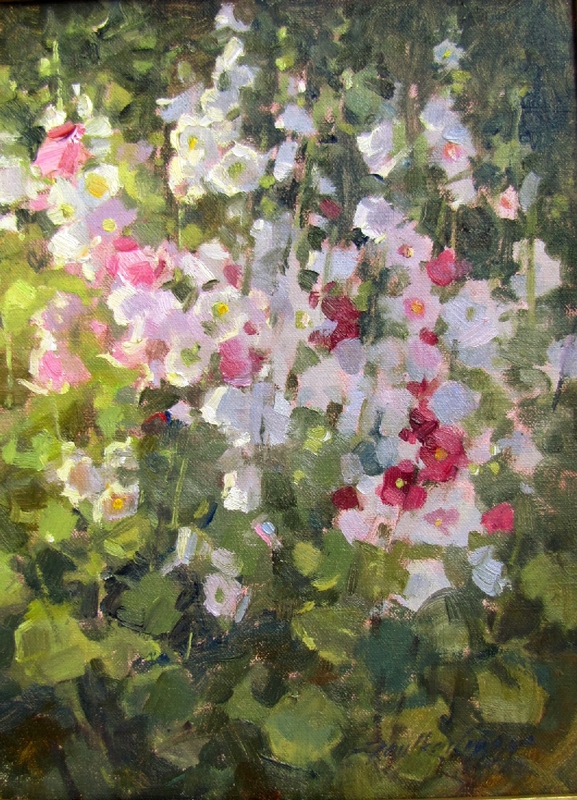 "Eagle Creek" "Hollyhocks Golden Hour"
For the past decade, Faulkenberry has been a popular instructor herself, conducting workshops throughout the United States and in Europe, notably France. A confessed Francophile, she designed her home and gardens in the French Cottage style. Her studio contains an inviting mix of painting equipment, antiques, and collectibles, many of which appear in her still life paintings. Lining the wall of her studio loft are bookshelves that include countless tomes on past masters, including artists who have influenced her: the bravura brushwork of Nicolai Fechin and John Singer Sargent, William Merritt Chase’s attention to textures and colors indoors and out, and the “quiet magic” still life paintings of Emil Carlsen. 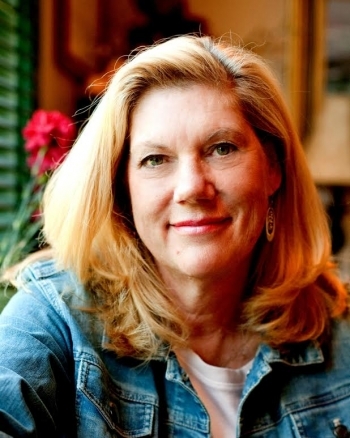 Faulkenberry often serves as an art juror, and her work has been featured in publications such as Southwest Art, Art of the West, Plein Air Magazine, and American Artist. She is represented in corporate, private, and museum collections across the country, including the Genesee Art Museum, Rochester, NY, and the Chisholm Trail & Western Heritage Center, Duncan, OK. 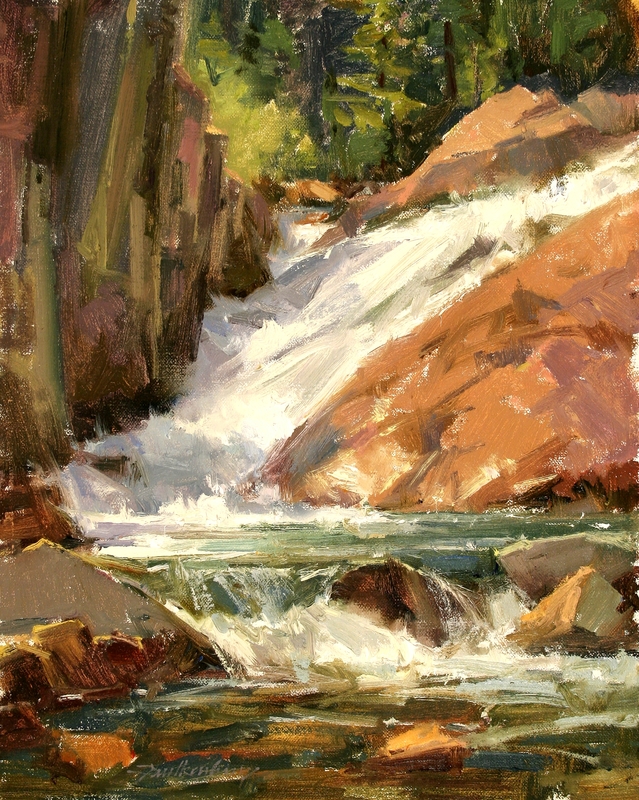 Her paintings have been included in exhibitions at The Haggin Museum, Stockton, CA, the Academy Art Museum, Easton, MD, and the Gilcrease Museum, Tulsa, OK. A Signature Member of the prestigious Plein-Air Painters of America since 1996, she served as PAPA president and spokesperson in 2008-2009.